In case you've been wondering where I've been, check out my latest writing in the Montecito Journal and Santa Barbara Sentinel, at randylioz.com! Great car, but the ad...? 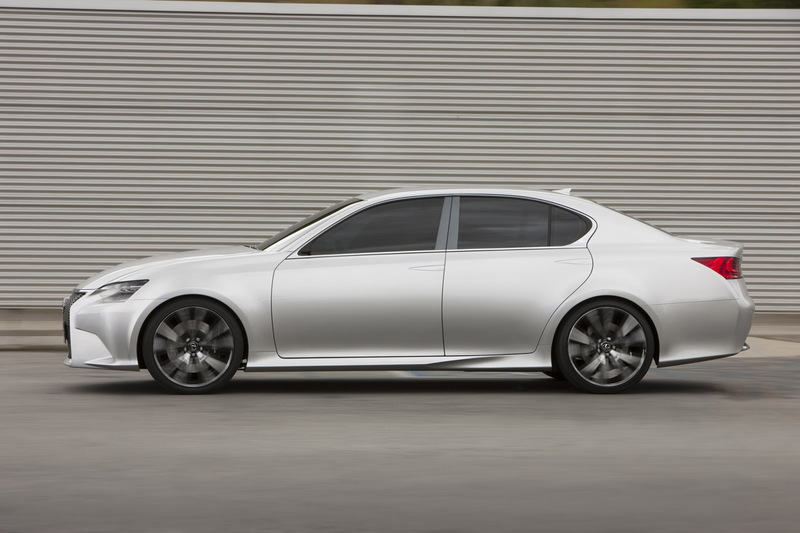 What had previously been one of the most devilish designs in autodom has now been completely sanitized and defanged. The new Chrysler 300 reminds my of one of those insurance company magazine ad where they throw together an "anycar" on Photoshop. Have a look for yourself. 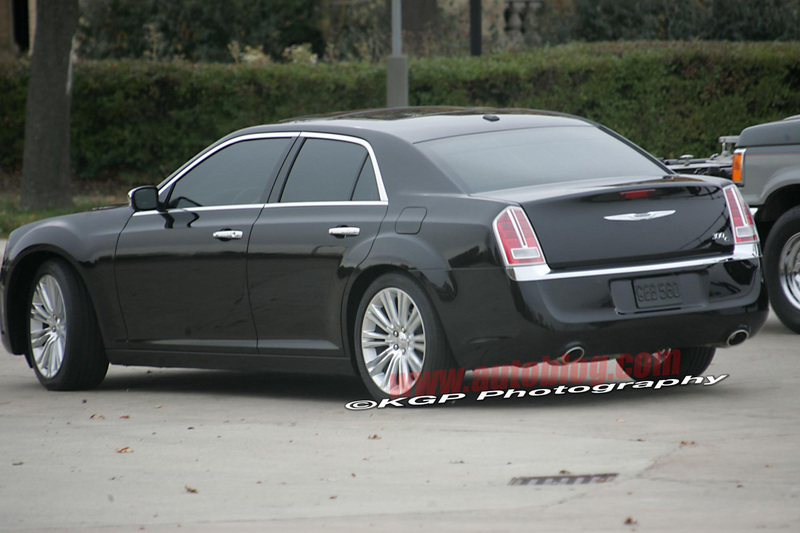 The rear even looks like one of those awful hack jobs Kia used to do, like the old Amanti. 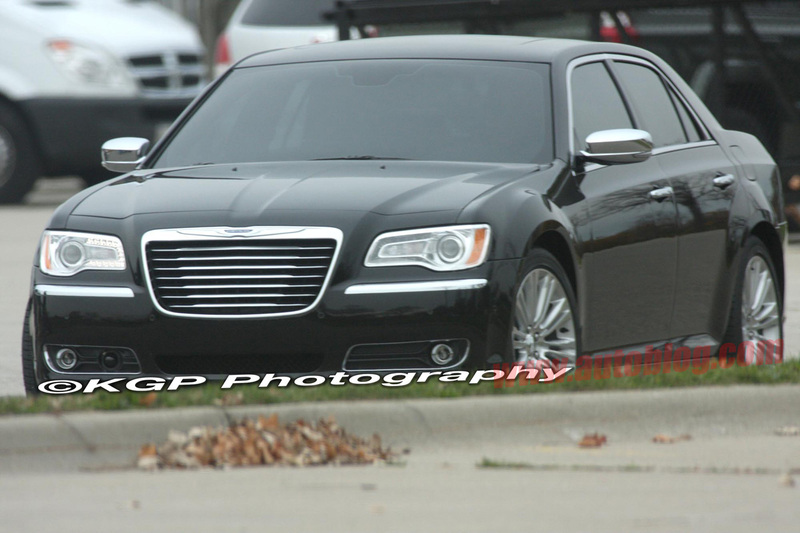 Chrysler's got some fine looking stuff coming out, like the new Charger and Grand Cherokee. 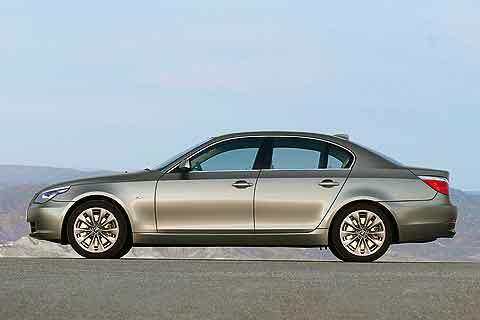 This 300, though, is not what I'd hoped for. 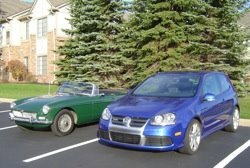 I've addressed this topic before, including one post with an equally cheesy name, as well as the saga of purchasing my R32. But my dad recently sent me a link to an article that seems to be a harbinger death for true manual transmissions. Road & Track explains that the new Ferrari 458 Italia will only offer one gearbox, Ferrari's new 7-speed dual-clutch setup. Apparently only one percent of F430s were sold with sticks, and elsewhere in the world of true sports cars, manuals are going away. Godzilla, the Nissan GT-R, is not available with a manual, nor will be the next McLaren. Am I like those who rejected the fancy new water-cooled engines? Or those who proclaimed that airbags would never be a legitimate auto technology? Was I penning myself in with the automotive nay-sayers who refused to make way for new advances? If Mitsubishi had decided that the new SST was good enough for their most discriminating enthusiasts--hey, it's good enough for F1 drivers--then maybe VW was in the right. Maybe I would get used to shifting without a clutch. Well, the fact is, I'd still prefer a real stick-shift. There's nothing quite like the delicate dance between a man and a machine, wherein you discover the unique character and limits of a vehicle through working a shift lever, a clutch, and a gas pedal. It's truly makes daily driving more fun. But on the track, I actually prefer the paddles. The DSG offers quicker responses, and allows you to keep both hands on the wheel, while still controlling the rev range perfectly. I may never be completely happy with having a paddle shifter. But it seems increasingly likely that I one day will. And ironically, my dad, who only within the past decade returned to a stick as his daily driver (my old car, actually), will be a lot slower to accept this new trend. Of course, computers and I came of age around the same time, which certainly has something to do with this. But when it comes down to it, I just don't wanna be a stubborn old fart. After the Frankfurt auto show, I was eager to hop town, since the next day I'd be heading to the world-famous Nürburgring, the race track on which pretty much all modern performance cars are tuned, if only for the "cred". The most well-known portion of the track, the Nordschleife (Northern Loop), is also the part that's open to the public on most days. The legend of the Ring has taken on a life of its own, and most enthusiasts know not only how challenging it is, but also how deadly it can be. Countless lives have been lost by incautious drivers who paid the track less than its fair share of respect. There are plenty of websites dedicated to teaching you how to run the Ring (I used this excellent Nürburgring for Dummies page), and they'll all tell you how dangerous it can be, especially for the cocky and unprepared. They'll even advise you to try to learn the track ahead of time by both watching recorded laps on YouTube and, get this, by playing the video game Gran Turismo. Lance, who I'd met in Stuttgart, was an accomplished gamer, and he said it helped his experience there greatly. I'd tried to take this advice, by printing out maps of the track and following a video turn by turn, but by the end of the 14-mile Nordschleife, it's very easy to lose track of what corner you're on. After an hour or so of attempting this on the press computers at the Frankfurt show, I realized it was futile to try to learn the track in one day. I decided to hit the road, and I grabbed a rental car. I'm sure the rental agency would not have been happy about my intended destination, but what they didn't know wouldn't hurt them. I approached the rental place, and sitting right in front of the door was the car I wanted to take to the Ring: the four-door R32 with a true manual transmission. Although I'd asked for a BMW 3-Series (or something similar) my heart started to pound at the thought that this car might be available. Instead, they dropped a Mercedes C-Class wagon with a little 1.8L low-pressure turbo on me. Needless to say, I was not happy. The fact is, though, it turned out to be a great car for the situation. Too much power would have the potential to get me in a lot of trouble, and with its manual gearbox, I found the car to be fairly peppy and easy to keep on the boil. Nevermind the fact that the car had 14 miles on it when I picked it up. I'm sure running the Ring is a great break-in for any car. Armed with a sat-nav and the latest Automobile Magazine, which happened to point out a great route through the mountains (don't ask me what road at this point), I high-tailed it out of Dodge with just enough time to get to the Ring as the open track time would be starting, 5:45 pm. It was scheduled to last until 7:30 that night, so I'd have just under two hours to do the four laps I'd planned to buy for €75. The ride there was fairly uneventful, though the unlimited speed sections I'd been so eager for seemed few and far between. I didn't really have much chance to see what the Benz could do, but that would come later. I got to the Ring just in time, though it was a little tough for me to find the entrance. Once there, I bought my Ring Card with four laps, and watched some cars take off just to settle myself into the reality of where I was. Eventually I summoned the courage to swipe my Ring Card and take a lap. As I hit the North Loop, I settled in behind a brand new, bright blue Scirocco who I thought might have a good idea of the appropriate cornering lines. I'm not sure if he was annoyed at me following him for the whole lap, but I wasn't about to pass someone on my very first lap of the Ring. But I began to realize that if I was going to have a good time, I couldn't let those website warnings scare me into driving like a granny in a Lincoln. On my second lap I confirmed what I had suspected. If you drive the Ring like it's a challenging road that you've never encountered before, you can have lots of fun while still being safe. Sure, it'd definitely be a blast at 90 mph, but you can still have a great Ring experience at 60. On this lap I managed to pass a few people, and was passed a few times by more serious drivers. But for the most part, I had the track to myself. One of the most important things to remember on the Ring is to always be checking your mirrors for faster traffic approaching. If you remember this, and also to not be an idiot, you should be pretty much okay. Those websites will also tell you not to time yourself, and this is excellent advice. Most drivers who wind up as paint spatters on a Ring guardrail are found to have running timers inside their cars. It'll turn you into a moron. But I couldn't resist at least getting a ballpark number, knowing that I wouldn't be pushing myself much. And the proof is in the pudding. I reset the trip timer in the car just before the lap, and I came off with roughly a 13-minute run. At 14.173 miles, I was averaging around 65 mph. Which was really plenty. I exited the second lap with a huge grin and a pounding heart. I pulled off to let the car cool down and to rest up for my next attempt. I struck up a conversation with some Britons, driving a Seat and an Audi S3, to compare notes. Finally I felt it was time to get back out there. I pulled up to the gate, only to be told that the track was closed for the night. The inevitable had happened: someone had crashed. While deeply disappointed, I viewed this as a mixed blessing. I'd had a fairly quick lap (for my comfort level), and who knows, the next go round it could've been me who closed the track for the night. At the Ring, if you crash things can get very expensive, assuming you walk away from it. Instead, my day ended with a burger at the Devil's Diner. I intended to drive straight from the Ring to Wolfsburg, where VW is located, but underestimated the size of the country. Germany, while only half the size of Texas, is in fact half the size of Texas! It would have been a 4.5 hour drive, and that doesn't even count the great road that I'd read about which I'd wanted to drive. Instead, I was forced to stop over in Cologne for the night, which happened to have one room left in the youth hostel where I wound up. Wolfsburg would have to wait another day.